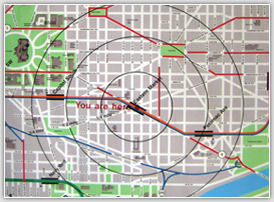 WMATA map showing location of the Eastern Market Metro Station in the wider Capitol Hill community. The Study began in March 2008 and is expected to be completed in June 2009. The following list of target dates is subject to revision. Copyright © 2008 Capitol Hill Town Square.. All Rights Reserved.